Roadside Retail: If you've got it – flaunt it! If you've got it – flaunt it! In my childhood in the 1950s and 1960s the oil companies were among the most visible brand advertisers – especially on the new medium of television. Challenge a baby boomer today to sing for you “The Esso sign means happy motoring” or “You’re going well you’re going Shell” and most will be able to oblige. But the quadrupling of oil prices in the early 1970s put a stop to all that and whilst there have been occasional flurries of brand advertising in this sector since there has rarely been a period of determined product differentiation advertising. 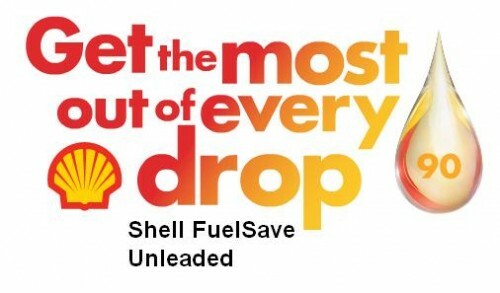 So how should we see Shell’s current UK campaign to promote a new fuel, Shell FuelSave which offers drivers improved fuel efficiency of “Up to one litre per tank” – you can see the TV Commercial here? 3. Allocate sufficient media funds to reach your target group effectively. 1. In a market in which petrol is seen as a commodity and where the only differentiator is price then Shell’s offer is distinctive and relevant. It is not particularly original in a historical perspective – students of advertising or aging juveniles like me will remember Super Shell with ICA in the 1960s – Super Shell with Platformate in the United States? Take a look at this TV Commercial from 1962. The proposition is identical to that of Shell Fuelsave fifty years later and there is nothing inherently wrong in that. There are really only three fuel differentiation options – Performance, Economy or Environmental benefits. The last named requires an unlikely degree of altruism on the part of the buyer and few will be prepared to pay extra to be green. Performance is a hot button for some and Shell has often had performance advantages as one of the elements for a differentiated fuel (they still do with the premium-priced Shell V-Power). But the real killer proposition should be, as it always has been, economy. If you can get more miles per gallon for the same price you should have a winner - and that’s what Shell Fuelsave offers. 2. The man in the white coat creative treatment is about as old as advertising itself and Shell’s latest version of this is pretty clichéd and predictable. It is supported by other media – including this promotional video which rather cleverly personalises the technology breakthrough. But it is intriguing that Shell fell back on the Scientist representation rather than getting a direct customer endorsement. Maybe the later is planned for the second phase of the communications – if there is to be one. Alternatively Shell could have created a much more metaphorical advertisement without the strong rational reason to believe that they have in their chosen creative. They have done it before – for example in this ad from the United States. The world of TV advertising is so diverse and cluttered these days that the challenge to be distinctive creatively is a considerable one – and to secure client approval for an attention getting creative idea may also often be difficult – especially if that client comes from the rational/scientific world of an oil company. One suspects that the “man in the white coat” Shell FuelSave ad was what the client wanted – even though the Agency creative department must have known how corny an idea it was! I doubt that it will win too may creative awards – whether it wins advertising effectiveness awards relies on something else – its reach. 3. The reach that any brand advertising has is a direct consequence of its media selection and budget. True fine creative will have impact even if the budget bucks are limited – but in most campaigns the more you spend the more reach you will secure. And this is where I fear that Shell FuelSave may fall down. That there was any TV advertising at all for a differentiated fuel product was something I suppose but ask yourself how often you personally have seen the TV Commercial – if at all. I haven’t seen the figures but my guess is that Shell’s media budget for the launch campaign of Shell FuelSave was quite modest and that there has been a real danger of the ad getting lost amongst the all the other strongly funded FMCG and other consumer advertising that is around. And given the frankly pedestrian nature of the creative I doubt whether the brand has really established itself top of the mind with the motorist. The on-site promotion and signalisation has been good and motorists will certainly have seen the brand on site or when they pass the site by. But have the distinct advantages of the brand really lodged themselves in the mind of the buyer? That will be seen from research and, of course, from the ultimate test of sales revenues.